The following Truther.org Terror Alert has been issued in respect to the Final Four in New Orleans, Louisiana, which will occur on March 31, 2012 and April 2, 2012 respectively. Coincidentally, Anonymous has threated an operation to attack and shut down the internet on the same date of March 31, 2012. Aside from the Final Four terror threat, an impending race war is being organized, fostered, and primed for a made for TV terror event to ignite it. Although the Trayvon Martin tragedy will continue to be exploited by the race baiters, the race war plot herein is forever exposed. If so compelled, please forward this information to news outlets and authorities worldwide. Should a major terror attack and subsequent race war occur in America, it is imperative to remember that starting fights between different races, classes and religions is taken word for word out of the 3rd Protocol of the Protocols of Zion. As America and the World continue to wake up to the evils of Zionism, there will be more and more attempts by Zionists and their minions to muddy the waters in an attempt to distract humanity from their wicked deeds. The global intelligence operation, otherwise known as Anonymous, will execute Operation Global Blackout, a plot to shut down the Internet on March 31, 2012. Should a terror attack occur, it is likely that both internet and cell phone connections will be cut in the aftermath of the attack to prohibit vital and viral information about the perpetrators to publically surface. Coincidentally, during an alleged cyber-attack on the Vatican in early March of 2012, Anonymous warned of a coming ‘March Storm’. NCAA “March Madness” Suicide Bombers? In March of 2006, the Men’s NCAA Basketball tournament was threatened in an alleged terrorist internet posting. According to the article, “…No specific, credible threat of a terror attack aimed at college basketball arenas or other sports stadiums… FBI and Homeland Security Department distributed an intelligence bulletin describing the online threat against sporting venues…The online message described a potential attack in some detail, calling it an efficient way to kill thousands of people using homicide bombers armed with explosives hidden beneath their winter clothing”. In November of 2011, police investigated a bomb threat at the Penn State-Nebraska football game in State College, Pennsylvania. Police used bomb-sniffing dogs to investigate an anonymous tip of a bomb at Beaver Stadium that turned out to be false. Although police and search dogs swept the stadium and surrounding areas, they found nothing. On March 15, 2012, the University of Maine’s campus was evacuated following a bomb threat. A message on the university’s website stated, “Bomb threat reported at Aubert Hall. Stay away. Building has been evacuated. Police are investigating. More information to follow.” The person who made the call allegedly had seen an emailed threat. America has already survived a University of Texas Massacre, a Kent State Massacre, and a Virginia Tech Massacre, so why not a March Madness Massacre? Violence on NCAA college campuses has peaked as of late with numerous incidents involving terror drills, guns, gunmen, robberies, dead bodies, murders as well as strange and mysterious deaths. Historically, one of the greatest tragedies in NCAA history occurred on March 31, 1931 when Air Flight 599 en route from Kansas City, Missouri, to Los Angeles, California, crashed in Kansas. All eight on board including Knute Rockne, the head football coach at the University of Notre Dame, perished in the suspicious crash. Although Saturday March 31, 2012 is the date of the Final Four, the actual championship game of the NCAA Men’s Basketball Tournament does not commence until April 2, 2012. The question is, will history repeat? Interestingly, Jim Rome, maybe the most popular sports personality on radio and television, will be launching a brand new sports show on April 3, 2012, the Monday after the Final Four. Coincidently, Rome’s new show premiers on CBS Sports, the TV network of March Madness. Nothing would enrage the African American community more than an acid attack on a few of their young NCAA basketball stars. An acid attack, although relatively short in nature, would literally eat the face of the victims. Although the players would likely survive, the attacks would ultimately linger in the media for as long as the players were alive. An attack of this magnitude would likely divide America in a way never seen before. Suspiciously, the high profile cases of past acid attacks have reared their ugly heads just days before the NCAA Final Four. On March 12, 2012, it was reported that a mother whose face was hideously deformed by acid appeared in court and accused her attacked of ‘turning [her] into a monster’. The trial for attempted murder is in Belgium and features the 48-year-old, who has undergone 86 operations following the horrific acid attack. On March 28, 2012, it was reported that the Pakistani acid attack victim Fakhra Younus committed suicide. Despite enduring more than three dozen surgeries over the last decade to repair her severely damaged face and body, she suspiciously decided to throw herself off a 6th floor balcony in Rome. Her sudden suicide brought the acid attack story back into the news just 3 days before the Final Four. On February 18, 2012, an alleged suicide bomber was arrested before he could attack the U.S. Capital in Washington D.C. The 29-year-old Moroccan, Amine El Khalifi of Alexandria, was arrested in an FBI sting operation with a fake gun and explosives given to him by undercover FBI agents he believed were al-Qaeda members. In the 2012 war propaganda film entitled “Act of Valor”, a Jewish arms dealer sells high-tech suicide vests to a white Croatian terrorist cell. The suicide vests are then smuggled into the United States through Mexico with the final destination being a major sporting event. On Sunday February 26, 2012, the night that Trayvon Martin was murdered, Truther.org released a video warning of an impending terror attack aimed at starting a race war. It appears that Martin may have been targeted simply because he looks like Obama. As detailed in the video, suspicious activity concerning major events such as the NASCAR Daytona 500, the NBA All Star game, the Oscars, and the speech in Orlando by Alex Jones all indicated that a race war false-flag was imminent. While unsubstantiated, it appears that Martin may have been murdered in a staged attempt to capitalize on the riots of the previous days (see below) and make use of the DHS’s 8 foot fence which surrounded the NBA All-Star game in Orlando. Three days before the murder of Trayvon Martin, at least 100 police officers in riot gear broke up what appeared to be a staged riot surrounding the release a new Nike basketball shoe which was admittedly timed to be released during the NBA All-Star Weekend in Orlando. While being interviewed on the February 24, 2012, edition of the Alex Jones Show, Orland radio host Doc Holiday stated that the rioters were “Obama’s people” and that “racial tension” was high in Orlando. Based on the recent behavior of elected officials, fomenting racial division in the aftermath of the February 26, 2012 Martin murder appears to be priority numero uno. 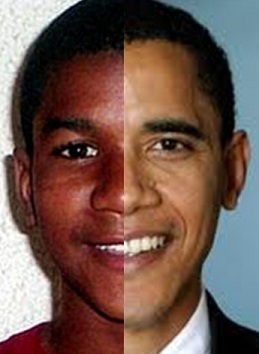 President Barack Obama weighed in on the shooting of Trayvon Martin, stating “When I think about this boy, I think about my own kids”. A few days later, Democratic Rep. Bobby Rush, of Illinois, Obama’s home states, wore a hoodie in honor of Martin while speaking on the U.S. House of Representatives floor before being asked to leave. Miami Heat players Lebron James and Dwayne Wade also donned hoodies in support of Martin, and obvious and overt move to garner even more media attention to the case. Although this story has not really hit the U.S. media as of yet, it is sure to be used as a tool of racial division in the near future. On March 20, 2012, it was reported that the Straits, an elderly white couple who had met and married within a month and stayed together for 65 years, were separated at death when a black male, Tyrone Dale David Woodforkbroke, broke into their home and beat Mrs. Strait to death. Aside from killing her, it is alleged that Woodforkbroke sexually assaulted the 85-year-old woman. 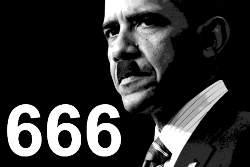 In 2008, before Obama was even elected, Zionist Michael Savage predicted that Obama and his Zionist puppeteers would attempt to start a full-blown race war in America. A few months later, the National Director of the Knights of the Ku Klux Klan, Thomas Robb, warned of an Obama race war. Shortly thereafter, International Imperial Wizard of the National Knights of the Klu Klux Klan, Ray Larsen, stated that an Obama assassination is coming and that America’s main problem is that the Mexican border is open. When Zionists and the KKK agree on something, it is clear that racial divide and conquer tactics are being strategized and planned. The LAPD recently revealed a high-tech war room that gives it eyes all over the city. LAPD Chief Charlie Beck stated that “We are targets on our own soil…We have to be ready.” Located in the heart of downtown Los Angeles, the new intel hub is coincidently called RACR. It appears that LAPD is getting ready for the impeding race war. Recently, the Los Angeles Police Department teamed up with U.S. military special operation forces in California where they have been conducting multi-agency tactical exercises in the skies above downtown Los Angeles. Should race riots or a race war occur, it is likely that L.A. will be at the center of the chaos. The Zionists work their divide and conqueror methodology via COINTELPRO, essentially becoming and then acting as the agent provocateur. To the public, Hal Turner was an ultra-right-wing radio talk show host and internet blogger with an audience of neo-Nazis and white supremacists was secretly working for the FBI the entire time. Should a race war ever occur, Hal Turner types such as Alex Jones and Glenn Beck will be on the air attempting to incite racial riots and violence. Currently, The Alex Jones Show boasts a radio audience of over 3 million gun-owning Americans. In effect, Alex Jones is the unofficial Commander and Chief of the largest militia the world has ever seen. With this unprecedented concentration of power into the hands of one man, it is highly likely that Jones will attempt to incite violence in the aftermath of a national tragedy. Recent revelations indicate that Jones is a tool for STRATFOR, a Zionists intelligence agency located in Austin, Texas. Terror and disaster drills in the state of Louisiana hit an all-time high in 2011 with at least 8 reported drills. The most disturbing trend within the drills is that there seems to be an underlying theme of bioterrorism preparation. A recent terror drill simulated a plague that infected 22,000 people about 1/3 of the New Orleans’s Superdome’s capacity crowd of 76,468. The drill taught businesses and churches how to set up medical-distribution points during a major disaster such as a bioterrorism attack or an epidemic, and disperse life-saving medication to a large population in a short period of time. Another disturbing drill involved an 80-hour structural collapse situation that could occur from a tornado, hurricane, or terrorist event. New Orleans police, the FBI and DHS all ignored the repeated terror warnings of a concerned citizen in respect to an unattended suitcase left during Mardi Gras in the city’s famed French Quarter. Joseph T. Wilkins, a retired municipal judge, said he noticed the suitcase around 9:30 AM while at home in Brigantine, N.J. Wilkins was allegedly watching a live video feed of historic Jackson Square when he noticed the bag. After 4 repeated attempts at phoning in the terror warning, Wilkins got through and left a message, but no law enforcement ever returned his call. The strange case was likely meant to show the ineptitude of the New Orleans police, FBI and DHS for plausible deniability in future terror attacks. The New Orleans Superdome, which will host the 2012 NCAA Men’s Basketball Tournament, is a sealed building, making a potential bioterror attack much more effective than in an open arena or stadium. 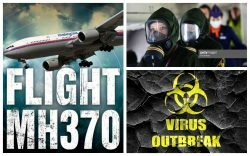 In 2011, bioterror patsies from an anti-government militia were arrested in Georgia, the neighboring state to Louisiana, ultimately giving the public the perception of bio-terrorists in the region. Recent terror drills (see below) dealing specifically with a bio-terror attack have been repeatedly occurring throughout the Louisiana region. In July of 2011, AECOM completed the Superdome remodel which included the “addition of two premium ground/field level bunker clubs”. According to Merriam Webster, a bunker is “a protective embankment or dugout…a fortified chamber mostly below ground often built of reinforced concrete and provided with embrasures, while Wikipedia states that a bunker in war terminology is a “is a hardened shelter, often buried partly or fully underground, designed to protect the inhabitants from falling bombs or other attacks”. The recent remodel of the Superdome may have provided the opportunity for the insertion of demolition charges into the infrastructure. Coincidentally, there has been a major terror drill dealing with the exact scenario of building collapse. Louisiana has also been home to multiple terror drills involving planes crashes, so all the ingredients for the 9/11 style terror attack has been practiced in the form of drills. Recent revelations in respect to alleged “bounties” handed out by New Orleans Saints football coaches and players for illegal hits have brought the eyes of the sports world squarely onto the city of New Orleans. To add even more gas to the “bounty” fire, legendary football coach Bill Parcells may take over as head coach of the Saints whose coach Sean Payton was suspended for an unprecedented 12 months without pay. Historically, bounties are known for being amounts of money given to people who kill a certain person or group of persons. Hopefully, Bounty Gate is not a foreshadowing of things to come. Should a terror attack transpire at the 2012 Men’s NCAA Basketball Tournament or anywhere else in America, it will most likely be conducted by the Israeli Mossad. Based on previous terror activity by the Mossad on 9/11, these professional terrorists should be considered armed and dangerous and may be driving white vans with counterfeit passports. Israel is the only modern nation that has not signed the 1972 Biological Weapons Convention (refusal to engage in offensive biological warfare, stockpiling, and use of biological weapons). Should a future biological terror attack hit America or any other nation, Israel will be the prime suspect. If recent history is any indication, an Oklahoma City Bombing type event within the Unites States is likely being planned for a U.S. Courthouse. In January of 2010, a gunmen opened fire in a Las Vegas courtroom wounding a U.S. marshal and killing a court security officer before being killed himself. In September of 2011, gunman in an Arkansas courthouse opened fire on court workers and a county prosecutor. In February of 2012, an “Occupier” brought a Colt .45 to a New York City courtroom and was subsequently arrested. On March 11, 2012, an attack at a Seattle Courthouse left a sheriff’s deputy with a gunshot wound and a judge stabbed. On March 14, 2012, a Houston man on trial for aggravated sexual assault opened fire today in front of the Jefferson County courthouse in Beaumont, Texas, killing one and injuring three. Should America be the victim of a major cyber-terror attack, there is no doubt that Israel will be the top suspect. To date, the two largest internet attacks in history both belong to the state of Israel, and based on recent events, it doesn’t appear that they are going to stop anytime soon.